Cape Cod is a popular summer destination for travelers from all over the world, so much so, that’s it’s pretty easy to spot someone from out of town. While visitors are certainly welcome to this picturesque town, if you’re spending a few days on the Cape, you can do a few things to make yourself less conspicuous. And if you’re in the know, you might even discover a few things that make your trip more memorable than you expected. If you’re a first-time visitor to the Cape, there are some things you should know right off the bat. First, officially, Cape Cod is “over the bridge,” or the land that extends from Bourne to Provincetown. If you stay off-Cape, you have a good chance of encountering traffic on your way to the more popular destinations and you’ll have a greater travel distance. As you’re traveling anywhere on Cape Cod, you’ll encounter rotaries. Known as roundabouts or traffic circles in other parts of the world, you’ll be hard-pressed to drive anywhere on Cape Cod without encountering one or more. If you’ve never navigated one, there are two things to keep in mind: When entering, the cars that are already in the rotary have the right of way, and it’s not okay to cut across two lanes of traffic to take your exit. If you miss it, go around again and change lanes safely. Another important traffic tip: The only way to get to Nantucket or Martha’s Vineyard is via boat or plane. There aren’t any bridges or tunnels, no matter what the sticker on the back of that truck said. Pick up one of those stickers at any gift shop as a souvenir and show that you’re in on the joke. The beaches are the chief reason that people come to the Cape, but which beach you hit depends largely on what you want to do when you get there. 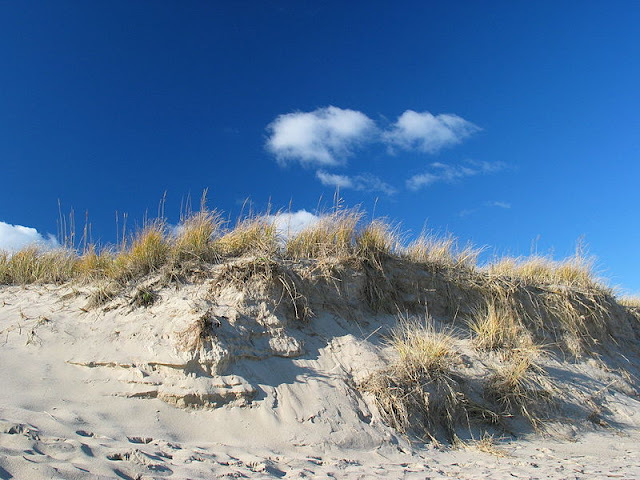 Beaches on the upper Cape (the towns of Bourne, Falmouth, Sandwich and Mashpee) tend to be small and rocky. These beaches face either Buzzards Bay or Vineyard Sound, so the water is warmer and the waves smaller than the beaches on the outer Cape. 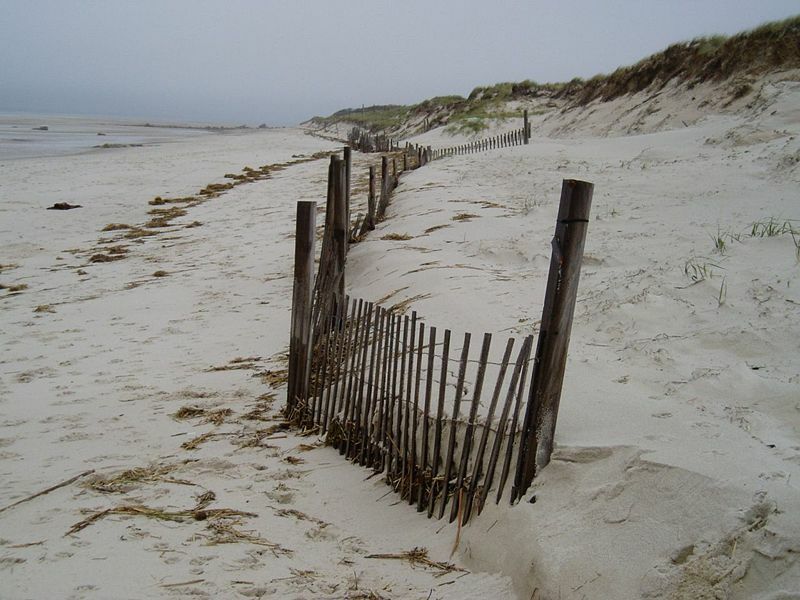 On the outer Cape, beaches face either Cape Cod Bay or the Atlantic Ocean. The Cape Cod National Seashore extends along the outer edge of Cape Cod. Beaches aren’t the only reason to head to Cape Cod. The Cape is legendary for its seafood, and this is the place to get some of the freshest and tastiest dishes from the sea. You might be bewildered by all of the choices on the menu. Clams are plentiful. A quahog, pronounced “co-hog,” is a large clam that is chopped, mixed with stuffing and cooked in the shell. Steamer is the generic term for any type of steamed clam and most restaurants will serve steamed cherrystones, hard-shelled clams, or littlenecks, soft-shelled clams with drawn butter. You’ll find seafood in any form on Cape Cod, from chowders and stews to pizza and pasta. After a day at the beach and gorging yourself on quahogs, you’ll need a place to rest. Cape Cod hotels range from budget chains and local bed and breakfasts to large, sprawling resorts. Oceanfront accommodations tend to cost more since most anywhere on the Cape is a few minutes’ drive to the beach. If you’re on a budget, look at in-town properties that can cost as much as 20 percent less during peak season. Cape Cod has been a popular vacation destination for celebrities, politicians and families for decades — and continues to attract thousands of people every year. Knowing some of the basics before you go will help you choose the best things to do, see and eat — and keep you in the good graces of the locals. About the Author: A native of Cape Cod, Emily Ross spent summers in high school and college working at a local resort. Now a writer, she is working on a novel set in her seaside hometown.